The team at Duane Erb Construction is one of the most trusted and experienced contractors in the Kitchener Waterloo. 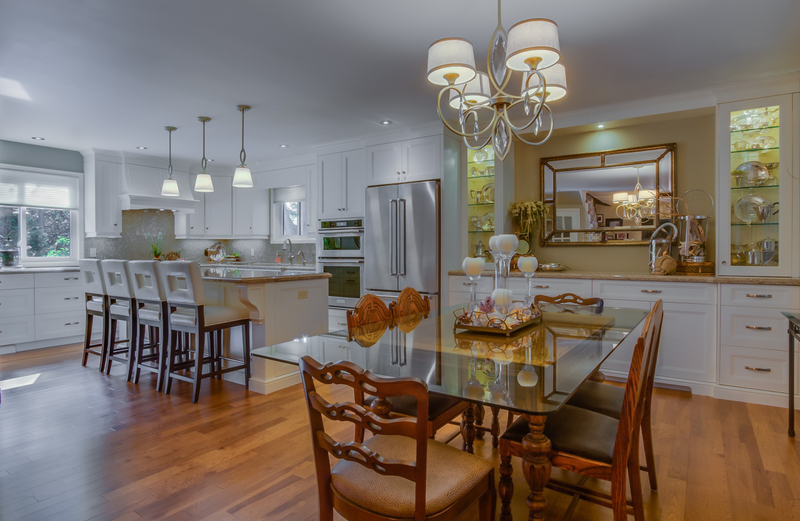 We have decades of experience performing stunning kitchen renovations for our clients across the Kitchener Waterloo area. In Need of a New Kitchen? Kitchens play a vital role in any home. Everyone appreciates a kitchen that not only serves all of its functions, but one that is also stylish and tidy. Not only does a having a beautiful kitchen leave a great impression on visitors but it can also contribute considerably to your home’s property value. A kitchen renovation can help homeowners keep their kitchen attractive, modern and functional. Why Choose Duane Erb Construction Company? Every time you think kitchen renovations in Kitchener Waterloo, you need to think Duane Erb Construction. Duane Erb Construction has been in the industry for three decades, during which time a lot of experience in renovation has been gained. You stand to gain a lot from this experience, because aside from getting impeccable work done in your kitchen, the company can also give you tips on the best choice of material and design depending on your unique situation. Transforming your kitchen drastically is an easy and stress-free process with the help of Duane Erb Construction. Additionally, Duane Erb offers a wide variety of products and services. If you need classic kitchen cabinets with soft close hinges and painted finish, we’ve got you covered. You can even get drawer slides, and tow-tier crown molding. What is more, if you need quartz or granite counter-tops, Duane Erb is the place to go. If you fancy an island in the kitchen, which is both time and space saving, then you should consider consulting Duane Erb Construction. To save more on space, the island could have an inbuilt microwave. You could also opt to have a bake-oven style gas and a hearth. The inclusion of a dining area in a kitchen is also possible with Duane Erb Construction. Besides, in case you want to change the floors of your kitchen, say so that you have lovely wooden floors, rest assured that Duane Erb will do this for you. Duane Erb has also built a great reputation in the thirty years we’ve been operating. We’ve become renowned for thorough, quality work that far exceeds the client’s expectations. So if you’re in the Kitchener Waterloo area and you’re considering a kitchen renovation, give Duane Erb a call today!